We live in an age of unrivaled convenience. If I wanted, with my phone, I could run my life without getting out of bed. I can work, pay the bills, shop for groceries, order dinner, hire a gardener, cleaner and a dog walker … the list is endless. The trouble is, that convenience costs me. The delivery fees, the credit card fees, the price of home-delivered food and the impacts on my health from staying in bed all day are all trade-offs for what seems like convenience. And that’s the thing about convenience. Often, it’s a false economy. About 25 years ago, something happened that promised to deliver huge savings to everyday Australians and take power out of the hands of lawyers; the DIY will kit. In just thirty minutes, and for the measly sum of about $25, you could take control of your deceased estate and keep the “greedy lawyers” out of your affairs. Sadly, these kits have achieved the opposite. They’ve made lawyers rich. It’s not until years later, after a will maker has died, when the flaws in these boiler-plate solutions are exposed and families are forced to go to court to defend their loved-one’s estates from the tax office, debtors, banks and family members who feel they’ve missed out on an inheritance. That’s the real cost of a DIY will that took 30 minutes to complete on a Sunday morning. And contrary to popular opinion, it’s not a situation that estate lawyers ever want to see. 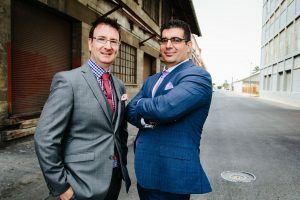 So you can imagine the chills that are passing through the legal world now that apps exist that allow you to make a will – for free – on your phone. E-wills are already happening in the United States and, in that country, the legal community is scrambling to find a solution to the problems this will create. Some states already have laws on the books cracking down on them, others are completely unprepared. A quick scroll through the reviews for one popular app (which already has more than 2000 reviews on the iTunes store) is eye opening at best, and terrifying at worst. Users rate the app five stars for the ability to record a message to be played to loved ones at the time of death and how quickly a Will can be created – that’s convenience. Those who disliked the app complained it didn’t offer proper advice, that it didn’t allow users to deviate from the template, instead offering a “cookie cutter” solution to much broader problems – that’s the cost. The potential for disaster is terrifying. 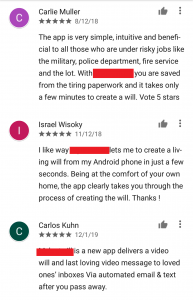 One app we viewed touts itself as the new age will, allowing users to record their will as a video, eliminating the need for a written will and ending any confusion as to what that person’s wishes were. The trouble being, videos don’t constitute a legal Will in Australia without a Supreme Court Judge saying so [and that aint’ cheap folks], and what may have been a good intention now becomes a costly court action as the family needs to establish probate in the Supreme Court. That’s money that should go to your children, not the courts. What about hacking? Is your will really safe “in the cloud”? Ask anyone with a child and an iTunes account just how safe their credit card is. Convenience is fantastic. Just make sure there’s not a hidden cost, especially when it comes to your loved-one’s inheritance.